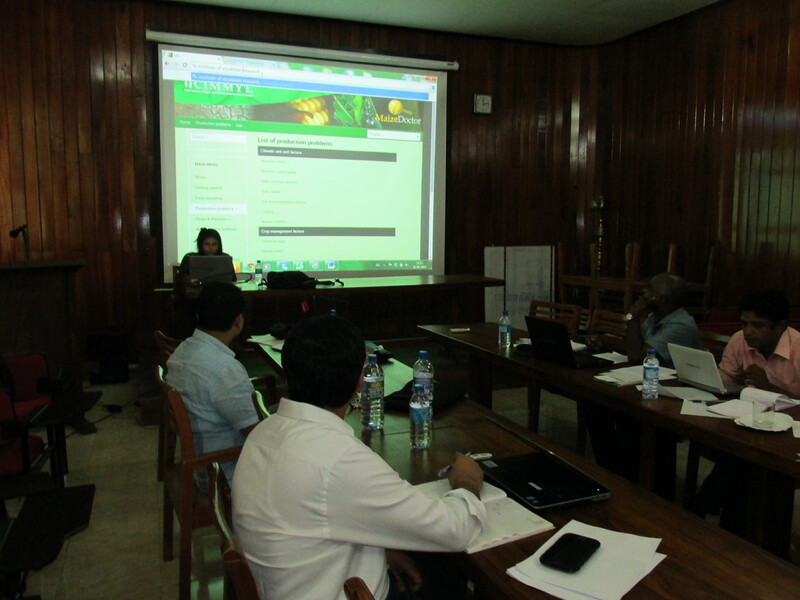 Two days write-shop organized at Kandy in Sri Lanka, on 26th -27th August for mNutrition (GoviNet) project. The objective of the program was to streamline and accelerate the content development activity. Content team comprising various officers from Fruit Research Development Institute (FRDI) and Field Crop Research & Development Institute (FCRDI), Department of Agriculture- Sri Lanka, along with CABI–South Asia, and CABI- Sri Lanka participated in the program. Messages on two major crops viz. maize and papaya were developed, on all relevant topics considering the quality assurance criteria. Altogether 28 actionable messages have been developed for the target audience. The messages were kept short, comprehensive and simple. The developed messages were validated through discussion among the experts, facilitators and the participants. The program was quite participative and productive. Various practical exercises adopted in the program, which were quite helpful in engaging participants and in making them learn actively to develop effective content. It was felt that such program should be organized regularly. The write-shop ended successfully.